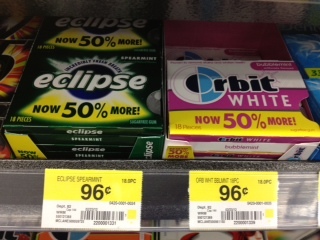 Print off this BOGO FREE Eclipse or Orbit White Gum printable coupon to get it for only $.48 at Walmart. Find more printable coupons in my coupon database. Be sure check out the rest of this week’s deals and coupon matchups at Walmart. Thanks, I Heart the Mart for deal & photo!